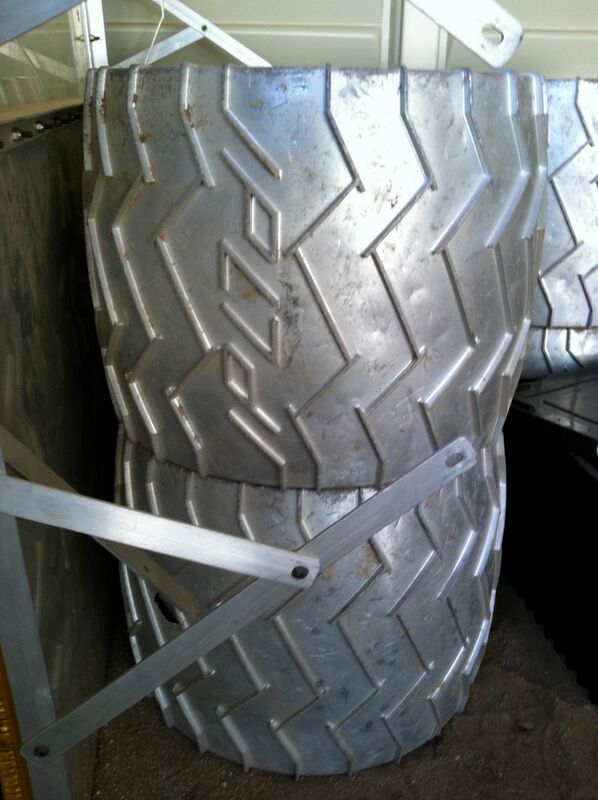 Some of you are probably asking why are they using Morse Code code on the Curiosity Rover tires instead of just printing the letters JPL on the tires for Visual Odometry? The original Engineering design and indeed the original Rover tested in the desert had tires that read JPL as they covered the landscape. 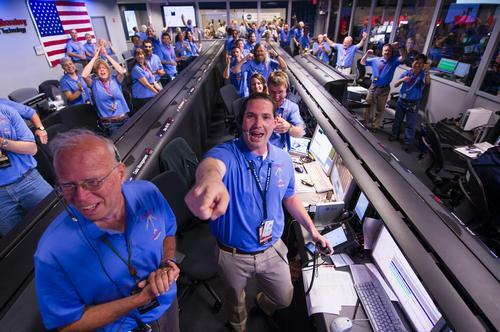 Apparently, someone at NASA HQ (we are told by a reliable source) said “no, no, and no” to JPL on the tires. However, Visual Odometry remains an important part of this mission; a decision had to be made about how to accomplish this task. Although we can’t say for certain, it would seem that using letters rather than random holes makes sense and given that there are three horizontal treads are devoted to odometric encoding on the Rover’s tires that would give them three letters to work with. The rest is history as they say; a decision to use Morse Code gives the science and engineering team its Visual Odometry while conveying a sence of wonder and whimsy. For me, I like to think that every time Curiosity looks back at where it’s been, she sees a reminder of her first home, Jet Propulsion Laboratory. 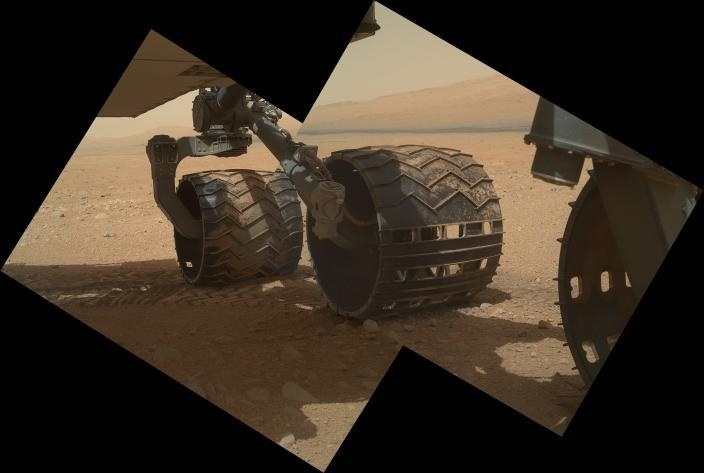 This panorama is a great series of shots of Curiosity’s beefy tires. You notice the strategic holes in the tires? They are actually Morse Code, spelling out J – P – L, the acronym for NASA’s Jet Propulsion Laboratory. This unique pattern is used by Curiosity to accurately gauge how far it’s been by creating a unique pattern to use for visual odometry. By using a known pattern, the Rover can look back and assess any number of situations; when traveling in a relatively featureless area, it can see where it has been, judge traction in high slippage areas, such as sand dunes and compare how far it has actually come along with its actual location. 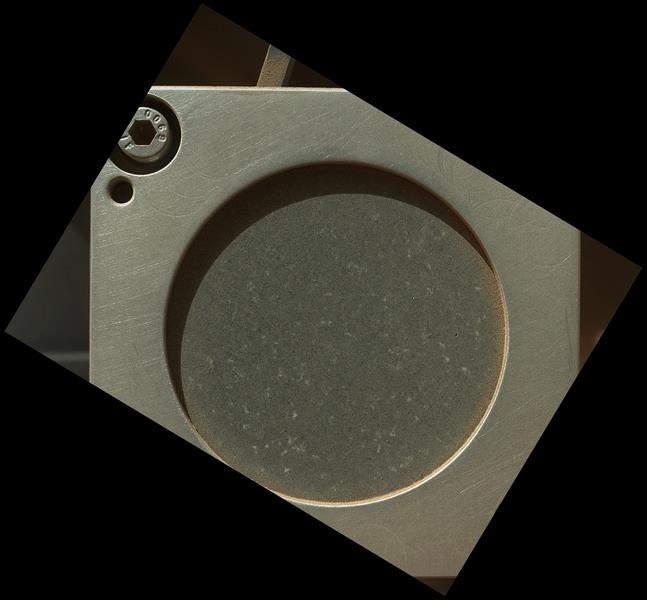 All of this by seeing this unique pattern in the Martian regolith! One of the tools that Curi uses to do science on Mars is a part of our earth. This is a calibration target for Alpha Particle X-Ray Spectrometer (APXS) instrument. This cal target is made from a piece of dark rock collected in Socorro, N.M. You can use anything as a cal target, provided its well known and characterized. 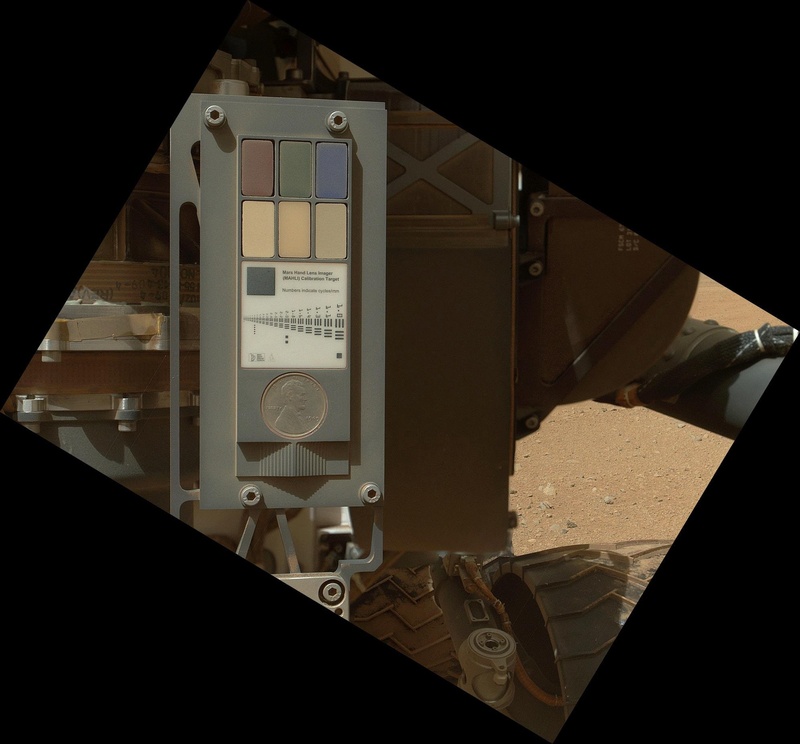 I’ve seen them referred to as “eyeshadow”, “paint” and “whatever those are” but in truth, they are an important part of the Mars Science Laboratory’s science mission: calibration targets. In the shake, rattle and roll of liftoff, flight and, in the case of Curiosity, the Mars Science Laboratory, seven minutes of terror as it falls to the planet’s surface, things can shake loose, degrade over time or stop working altogether. Calibration activities remain the best way to assure data collected are correct. When conducting science remotely, it’s important that scientists are sure of what they are looking at and of various findings they make. In other words it’s one the ways scientists can say “how we know what we know”. The best way to achieve this is by including a well-known and characterized source to check your data against. These are referred to as calibration targets or cal targets. There are many types of cal targets and infinite uses for them from calibrating the white balance on your digital SLR camera to telling a spacecraft light-years away that indeed, what it is looking at is white or, it is blue not white or that the chemical signature we are seeing is cadmium, which shows up as a particular color in the spectrum. Whatever the composition of the target, the process is the same; a reading is taken from the cal target, from the subject and often from a third source. The readings from each of the sources are compared against each other and if they are in agreement, the instrument is correctly calibrated. If there is disagreement, data from each source is analysed to determine the location of the error. We’re watching as people all around the world cheer on the Rover that could! The energy is palpable as we stop to wait for the OK, a signal that tells us Curiosity is on the surface and ON. What we didn’t expect was to see images! Staring at the big screens, the question in the air was “what’s that?” followed by a cheer that broke like a wave as we realized it was an image Curiosity was sending back from Mars. Having spent a portion of the afternoon volunteering at Planetfest, the Planetary Society’s exhibition and lecture event, we hunkered down to watch MSL make it’s descent. Size: About the size of a small SUV — 10 feet long (not including the arm), 9 feet wide and 7 feet tall — (about 3 meters long (not including the arm), 2.7 meters wide, and 2.2 meters tall), or about the height of a basketball player. Length of mission on Mars: The prime mission will last one Mars year or about 23 Earth months. A great look at what needs to go exactly as planned in order for the MSL to survive its descent and landing to complete it’s mission. Have you ever wondered what we look like from the Red Planet? 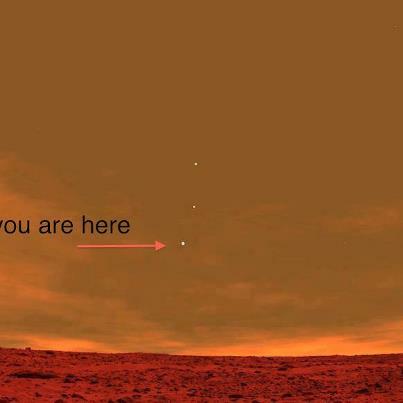 Imagine, standing on the rust covered surface of Mars and waiting for the Earth to rise; this is what you’d see.